Chelsea legend Tommy Langley feels individual mistakes cost the Blues against Wolves on Wednesday and has singled out Kepa Arrizabalaga’s error in the second half. 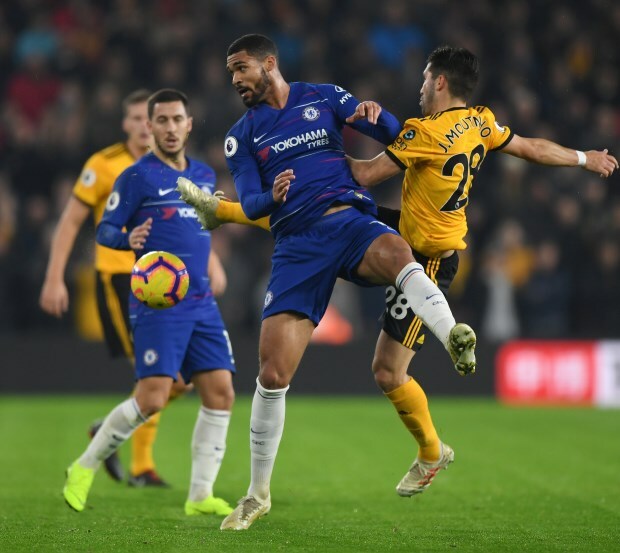 Maurizio Sarri’s side took a slender 1-0 lead into half time, but Wolves came back strong to score two goals in four minutes and turn the game on its head. Raul Jimenez scored the equaliser for Nuno Espirito Santo’s side with a shot that was too hot to handle for Kepa, who has kept just two clean sheets in the last five league games. Langley, however, believes that the Spanish goalkeeper should have made the save as the ball was close to him. “The manner of which we conceded the first goal was a joke”, Langley told Chelsea TV after the loss. “We've got him in as a shot-stopper and at the end of the day it goes straight through him. “So I'm disappointed with that." The defeat was Chelsea’s second in three games and it pushed them down to fourth in the Premier League table, as the battle for a top four finish increasingly looks to be a number of teams fighting for third and fourth, with Liverpool and Manchester City pulling clear. Sarri’s side are ahead of Arsenal on goal difference at the moment but trail league leaders Manchester City by 10 points now.